I’ve long had a thing for Monterey Clippers, those charismatic traditional fishing boats seen at Fisherman’s Wharf in San Francisco. I’m still pondering the actual build of a model, slowed down somewhat by a lack of knowledge about their details. Their iconic fishing gear is all out in the open, and their traditional Hicks engines– complicated works with moving pushrods and gears and rocker arms– are also exposed, meaning you have to get them right! 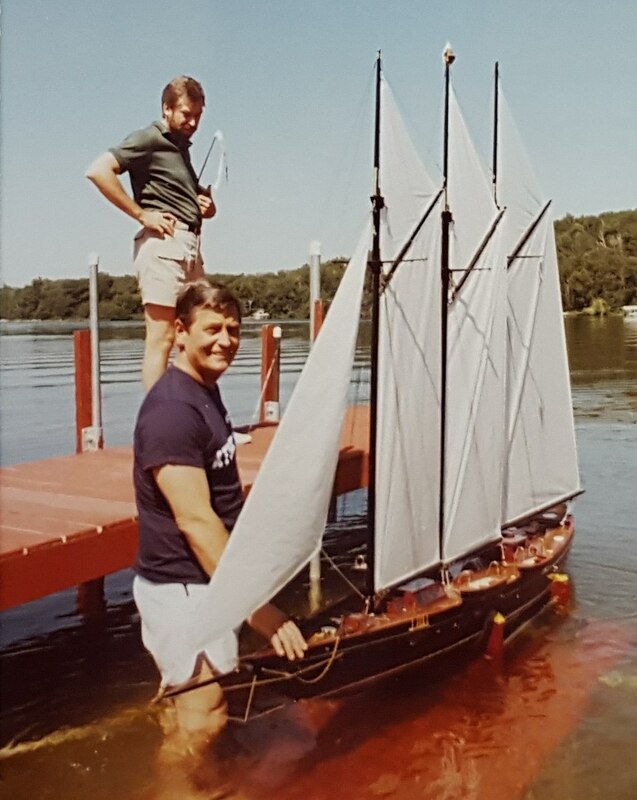 Dwight Brooks built large scale model boats in the 1980s and 90s. His work is familiar to readers of the old Scale Ship Modeler magazine, where a number of his models appeared. See the links (at the right hand side here) for some of his SSM articles. Dwight passed too soon in 1996, but his boats can still be seen in the Santa Barbara Maritime Museum, where all 32 were donated.